Throughout 2017, we explored the Anthony Burgess Foundation’s archive and presented a new object each week. The scope of the archive extends far beyond the normal limits of a single author’s collection. There are many items which relate to Burgess’s literary work: manuscripts, typescripts of published work, notebooks, unpublished stories and poems, and boxes of correspondence. Unlike other collections, Burgess’s papers include musical compositions, and there are handwritten scores for a large number of songs and theatrical works. The book collection includes more than 8000 volumes from Burgess’s private library, dating back to the period of his school and university studies in Manchester in the 1930s. The library of Liana Burgess, Anthony’s second wife, also forms part of the Foundation’s collection. Beyond these items, there is an extensive audio-visual collection which features nearly 900 audio-cassettes and reel-to-reel tape recordings of Burgess reading from his own work, playing music, and giving interviews or lectures. There are recordings of Burgess’s music which have never been widely heard, including the music for a Hollywood musical about Shakespeare. The audio material includes Burgess’s collection of vinyl records, audio cassettes and CDs. There is a moving-image collection which includes television documentaries and home movies in a variety of formats, such as Super 8 and VHS. The image collection contains more than 6000 photographic prints and slides which document Burgess’s life from his early years in Manchester, his time in colonial Malaya, his residence in Malta and Italy, to his later years as a professional writer who travelled extensively throughout the world on lecture tours. 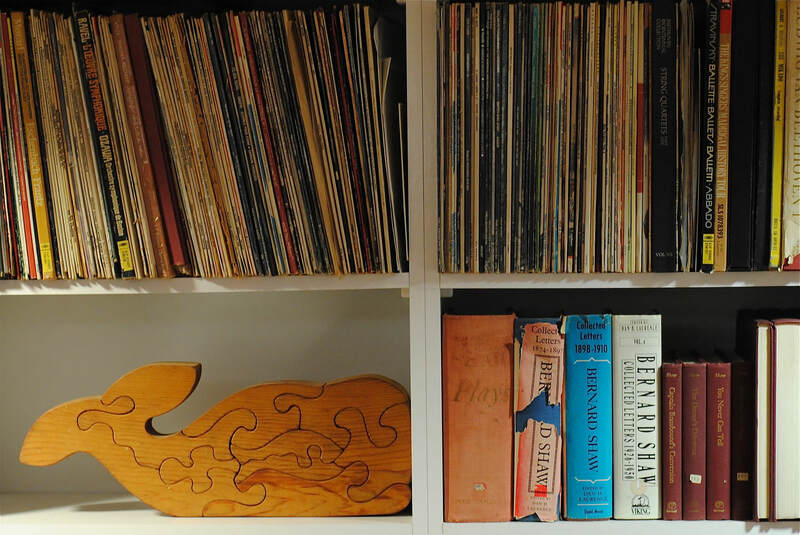 Unusually for a writer’s archive, the collection includes objects such as furniture, musical instruments, ornaments, artworks, smoking paraphernalia, literary prize trophies, and celebrity autographs. This short introduction does not do justice to the wealth of the Burgess Foundation’s archive. The ‘Object of the Week’ series reveals a number of hidden treasures from these collections and explains their significance. To see the archive of Objects of the Week, click here.